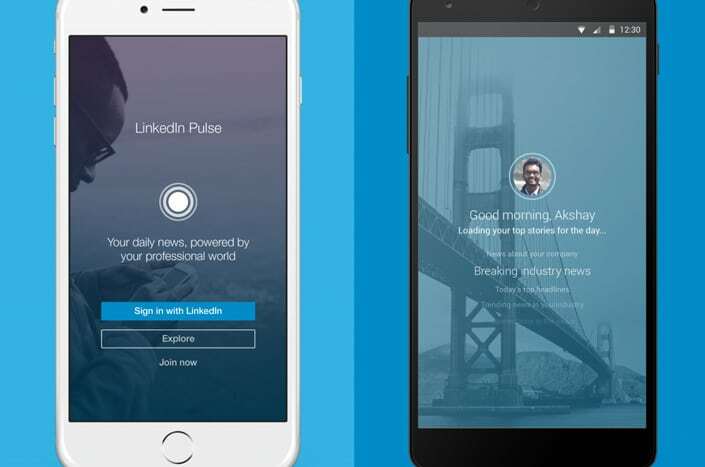 Last month, LinkedIn released a new version of its Pulse app for iOS and Android. According to developers, the service has not simply been modified; it has been rebuilt from the ground up. All older versions have been pulled from Google Play and the App Store, and LinkedIn has said users with existing versions will be able to use them through the end of the year. An enhanced focus on personalization. LinkedIn wants to provide you with the stories you will find most compelling based on all available data. A card-based interface that allows you to remove stories from your feed or save them for later. The ability to follow people from directly within the app. Notifications when connections are mentioned in news stories. This gives you the opportunity to follow-up and comment on the story or congratulate that person. No requirement to follow topics or publishers. LinkedIn wants to remove barriers to participation, and Pulse now serves content based on what LinkedIn knows about you, regardless of whether you choose to follow anyone. Articles are now available to people who are not logged in, giving the content an even wider audience. Even if you don’t have the app, you have probably interacted with LinkedIn Pulse in some way. It is fully integrated with the website platform and controls much of what you see on the LinkedIn home page. LinkedIn Pulse offers attorneys the opportunity to gain exposure and build valuable relationships. By publishing helpful and interesting content, you can establish yourself as a leader. As you continue to share valuable content, you will build strategic visibility over time. People will begin to see you as a resource to follow, which helps you stand out among a sea of other connections. New audiences: Anyone can follow you, even those who are not your connections. Searchable content: Posts are categorized by topic and searchable by keyword, making it easier for people interested in the topics you write about to find your articles. Stand-out profiles: Posts appear at the top of your profile. An interesting post with an attention-getting picture can keep people looking your profile longer. Increased exposure: Your posts appear in your connections’ newsfeeds, and popular posts are featured in the LinkedIn Pulse newsfeed. In order to use social media effectively, lawyers must see participation as more than just a game of who can make the most connections. Followers, Likes, friends and connections are measurable, making them easy benchmarks for success. But while these metrics are important, they are just the first step. Social media is most effective when it is used to build relationships. The platforms were built to foster interaction, not serve as cheap lawyer billboards. Showing up every so often to talk at people about how amazing you are is a turn off. Your connections deserve more than a Yellow Page ad in the form of a post. They deserve consideration, information and resources. Online relationships — like any relationship — require you to be an active and equal participant. Publishing articles on LinkedIn Pulse is a good way to get the conversation started. Since Pulse acts like a blogging platform, people can like and comment on your work. You, in turn, can like or comment on the work of others. Publishing on Pulse and interacting with other authors shows you are paying attention. You are aware of what is happening with your connections and can react in a positive way to their online activity. For example, try reaching out to people who share your work and thanking them. If you read an article or post that is particularly helpful, tell the author why you enjoyed it. If you see someone posing a question you can answer, get in touch with that person. Do not be afraid to send private messages (when appropriate). People desire to be recognized and appreciated; paying attention and noticing opportunities to do so can help open doors to meaningful connections. Use a current, professional photo without distractions. People should be able to recognize you easily from your profile picture. Your dog, children and garden do not belong in a professional headshot. Be sure your professional headline actually tells people what you do. Avoid keyword stuffing, cute titles and industry jargon. Make sure all of your experience and personal bio information conveys authority. Strategically include personal information. Detailing groups you belong to, charities you have worked for or even activities you enjoy helps people relate to you. Make it easy for people to get in touch by providing complete contact information. People want to do business with other professionals they like and trust. 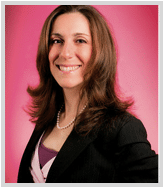 LinkedIn Pulse is one tool attorneys can use to both build this trust and establish authority.